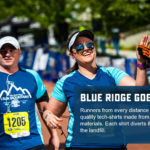 Make a vacation out of your Blue Ridge Marathon experience! The Roanoke Region is a premier spot for outdoor recreation. Visitors and residents have easy access to some of the best cycling, fishing, water sports, and hiking in North America. All these advantages – combined with excellent urban amenities – set amidst a scenic background of glistening lakes and majestic mountains and with a mild-temperate climate, make the Roanoke Region a great place to visit, work, and live. Make the most out of your visit to the beautiful Blue Ridge Mountains of Virginia by contacting the Roanoke Valley Convention & Visitors Bureau to receive your FREE Visitor’s Guide (800-635-5535) or check out our web site for an electronic version at www.visitroanokeva.com. While in the area and just a block away from the marathon’s start/finish line, stop by our Visitor Information Center at 101 Shenandoah Ave. for the latest specials, maps and event information. Open daily 9am – 5pm. Visit RoanokeOutside.com for more details on what else you can do outside while visiting Roanoke. Whether you’re looking for a quick cup of coffee, the perfect spot to have a lunch meeting, or the most delicious dinner in town, Downtown Roanoke is definitely where you’ll want to be. From nouvelle American to international cuisine, Downtown Roanoke offers more than 60 diverse restaurants guaranteed to satisfy any appetite. There are several opportunities for outdoor dining in the warmer months and things only get livelier as the night goes on with many downtown eateries offering the best live music in the region. And be sure to explore downtown’s food and kitchen shops where you will find some of the best gourmet foods and fine wines in the area. Click here for a map and listing of where to dine Downtown! Explore the region’s man-made wonders and most intriguing sites. From one of the oldest covered bridges in the nation to memorials reflecting those who have shaped our world, the Roanoke Region has plenty to explore. Visit www.visitroanokeva.com for more information. Trying to maximize your cultural experience? With many museums throughout the Roanoke Region, there is plenty to be explored. Take a trip back in time at the Botetourt County Historical Museum. Learn about the influence of the railroads at the C&O Heritage Center. 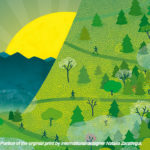 Enter a masterpiece at the Taubman Museum of Art which maintains a collection of contemporary 19th and 20th Century American Art From ancient artifacts to the latest scientific developments, the Roanoke Region is an exhibition of human and natural wonders. Visit www.visitroanokeva.com for more information. Throughout the region you will find some of Virginia’s most prized vineyards. Open for tours and tastings, the wineries provide diverse selections of wines and information on creating great tasting wines. Visit Roanoke.org for a complete list of wineries.